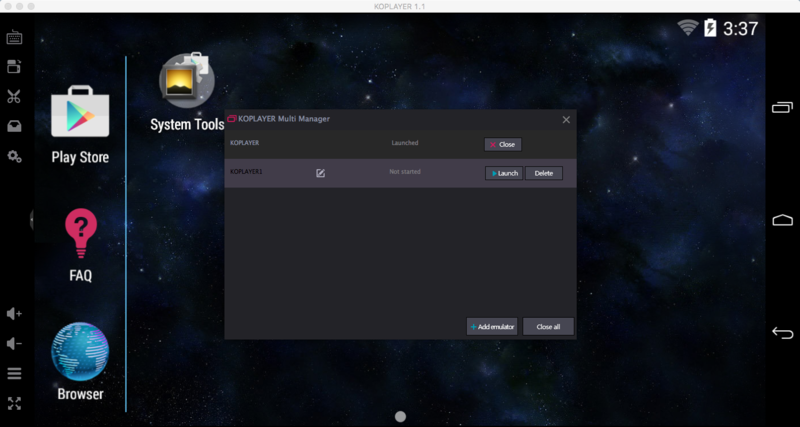 KOPLAYER Forum » KOPLAYER -- Android Emulator on PC (Windows/Mac) » Q&A » KOPLAYER Tutorials » How to Run Multi KOPLAYER on Macbook? How to Run Multi KOPLAYER on Macbook? 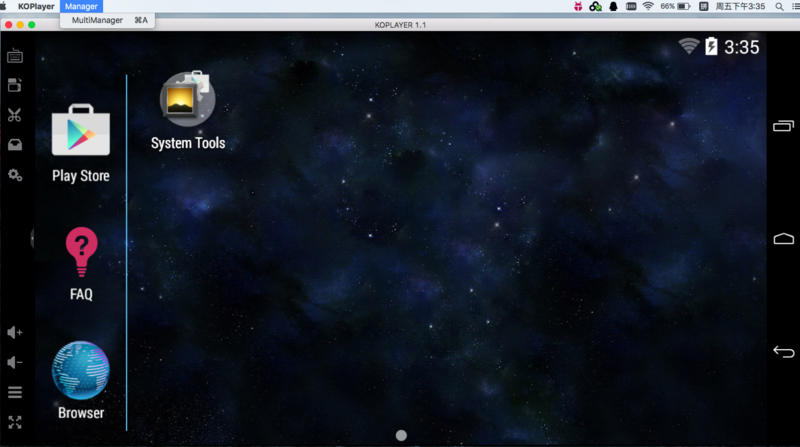 As many of you suggested, our Mac version KOPLAYER now supports to run multi emulator at the same time! You can come to our official website to download the latest Mac version. Note: The steps has some differences between on Windows version. Now, let's start the setting. Step 1 Of course, you should install the latest version on your Macbook. Step 2 After installing latest Mac version KOPLAYER, run it. Step 3 Click "Manager". 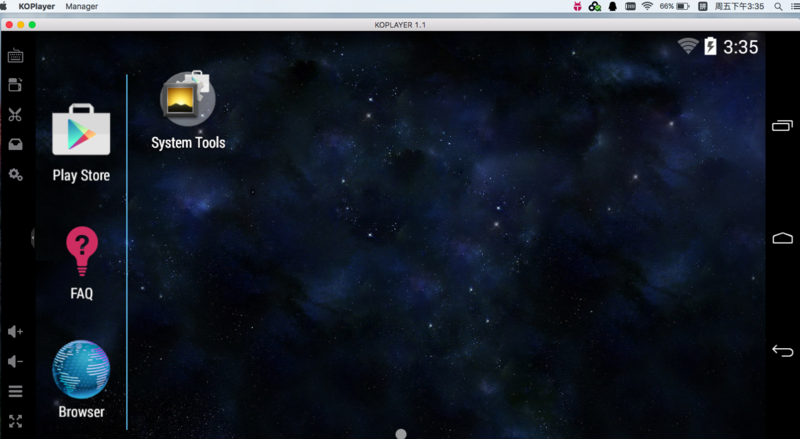 Or you can press "fn + command"
Step 4 Click "Add emulator" and choose "New emulator". Here has a point. Don't clone the original KOPLAYER! It will fail due to Macbook's limitation. Step 5 After creating the new emulator, you can install games or apps in it. Of course, if you just need two emulators to play different apps, you have finished this tutorial. Step 6 If you want emulators installed same apps, please continue. Click "Add emulator" again and choose "Clone emulator". Step 7 hmm.. actually it is not "step 7". You have done all steps of setting. If you have any problem, please post here or contact us on Facebook.